Blueberry bushes need to be established before you allow them to bear fruit. In the spring, promote root and vegetative maturity by taking out all flower clusters. On the second year, allow a few flower clusters to remain so that you can have some fruit in the third year. In their fourth or fifth year, your blueberry bushes may have a full crop. The most common methods of propagating blueberry bushes are by softwood or hardwood cuttings. Hardwood cuttings are more preferred as softwood cuttings expire more easily. 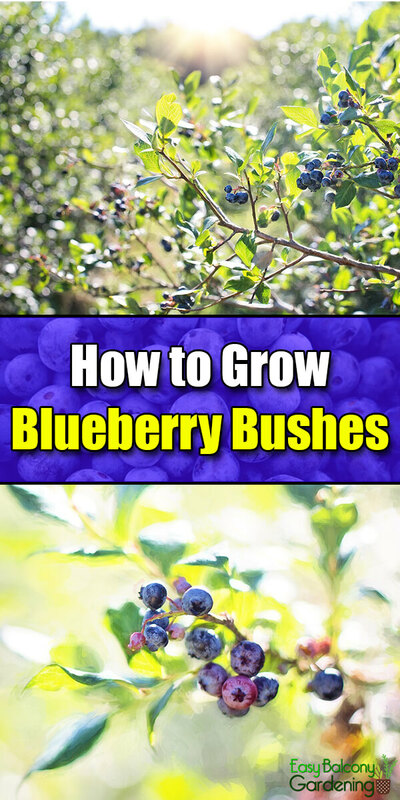 If you are a home grower, the simpler way is to obtain your blueberry bushes from a nursery and then propagate your own once they are established. Below are the basic rules for both type of cuttings, and the additional steps necessary for softwood and for hardwood cuttings. Carefully inspect the propagation wood for infestation, as you can spread a virus by cutting wood from infected bushes. Be wary of stunted looking foliage. During the growing season, mark those healthy bushes where you can take your cuttings. It may not be possible to discern when taking dormant cuttings if they are diseased or undesirable for propagation. Choose a container that is spacious enough so that the cuttings would have at least four inches of growing room on all sides. Check for adequate drainage holes. Combine thoroughly one-half sand and one-half peat mix in the container. For every part of peat, mix thoroughly a part of perlite and a part of coarse sand. Water well and check for good drainage. Thoroughly wet the potting mixture prior to planting. Immerse the cuttings in a rooting hormone, and gently shake off the excess. Rooting hormones can be purchased at your local garden center. Fill the containers with potting mixture. Keep the mixture moist. Check for good drainage. Wrap loosely a clear piece of lightweight plastic over the pot and place in indirect sunlight. If you have insufficient lighting, use a grow light. 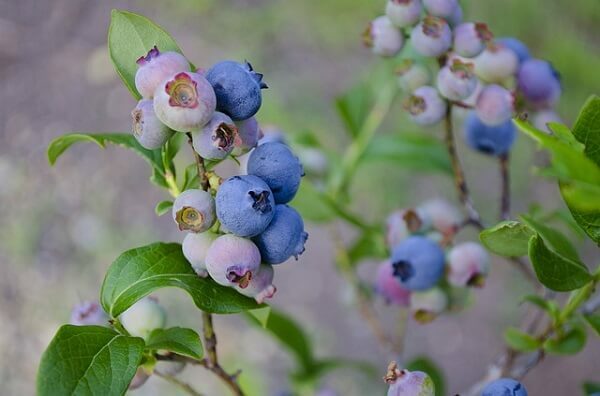 Depending on the variety of blueberry bushes you are propagating, it will take somewhere between two to several weeks for the cuttings to take root. If you are not sure when to check, try gently tugging the stem after two weeks. If you feel some resistance, your cuttings have begun to root. Remove the plastic wrapper a little bit at a time. Keep the soil moist. When roots are established, transplant into a bigger container and move outdoors after the last threat of frost, or plant in the ground. Take the cuttings from the top of the stem. They should be at least six inches long. Moisten the cuttings and stick in the pot, leaving only one third of the top visible.